Unreal Engine joins the Global Game Jam (GGJ), a 48-hour event in which developers create a game in a very limited timeframe. 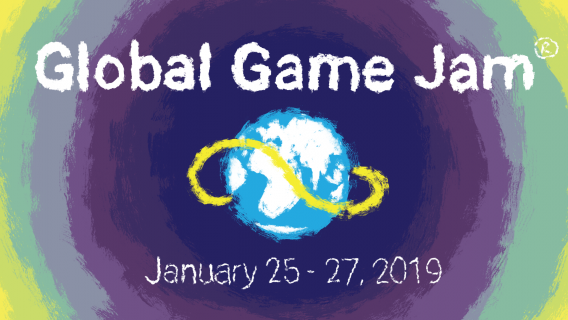 Taking place January 25-27, the GGJ connects developers from all over the globe in a unique experience focused on building connections, creativity, and shared experiences. Game jams are the perfect opportunity to test out the capabilities of new tools and experience the process of shipping a game from start to finish. To kick off the year, Technical Artist Tom Shannon shared general best practices for game jams on the weekly Unreal Engine livestream. He also demonstrated how to quickly add a variety of game types such as split-screen, LAN, and local multiplayer, to help jammers create more diverse and exciting games. To get started, Tom’s Game Jam Toolkit includes a basic gameplay framework and features a full UMG template with a Main Menu, an in-game HUD and Pause menu that can be added to any game in merely minutes. Also check out these UE4 resources we've gathered to help you get started! Learn more about Global Game Jam and find a location near you at https://globalgamejam.org! Let us know that you’ll be jamming in Unreal Engine during #GGJ19 by filling out this survey and enter for a chance to win an Unreal Engine swag bag, including an Unreal Engine-branded backpack, t-shirt, and more!